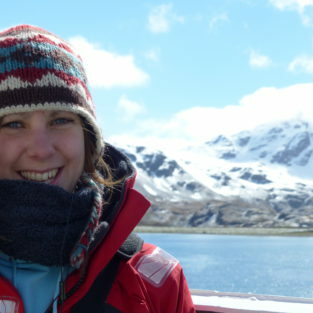 My research interests are marine biogeochemistry and ecosystems; I enjoy taking an interdisciplinary approach to understand the complexities of ocean environments. I am particularly interested in the oceanography of Polar Regions due to the vital role they play in the changing global climate. Currently I am working with the NERC DIAPOD project looking at the importance of Arctic phytoplankton for the nutrition of Arctic copepods. This will involve combining satellite data with in situ measurements to try and understand how the phytoplankton community composition affects the success of Arctic copepods and their ability to overwinter at depth. Belcher, Anna, Iversen, Morten, Giering, Sarah, Riou, Virginie, Henson, Stephanie A., Berline, Leo, Guilloux, Lioc, Sanders, Richard. (2016) Depth-resolved particle-associated microbial respiration in the northeast Atlantic. Biogeosciences, 13. 4927-4943.